"You can count on the thumb of one hand the American who is at once a comedian, a humorist, a wit, and a satirist, and his name is Fred Allen." 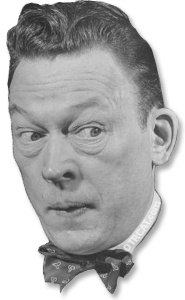 This website is a celebration and homage to the work and all too short life of Humorist Fred Allen. 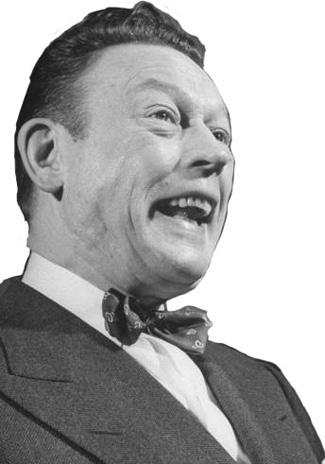 Fred Allen is listed among the Great American Humorists along with Mark Twain, Robert Benchley, and S.J. Perelman. His work laid the foundation for such later greats as Johnny Carson, George Carlin, Jay Leno and David Letterman. Many of the problems faced by these later comics were prefaced in Allen's work. We will explore Allen's almost Dickensian upbringing and early years performing in Vaudeville. Fred had opportunities to go further than he did in the entertainment industry, but as one biographer noted, Fred maintained 'the conservatism of the once poor' and often choose to stay with a known paying gig rather than risk failure in larger and more prestigious venues, like Hollywood. Fred had a New England love of learning; he grew up near Harvard University, but never had the means to study there. Later he would begin a life-long study of Humor. This study, though thorough, was never formal. Rather it took place while he had spare moments between other work, beginning while working as a young man at the Boston Public Library and later while on the road in Vaudeville. While in radio he wrote his own material, often working 12 hours and devouring up to six newspapers a day. Near the end of his life he rented a small office where he spent at least six hours daily writing. Fred was fiercely loyal to his family. He maintained close ties to his younger brother Bob while he was on the road, and supported his Aunt Lizzie, who raised him, throughout her life. He was madly in love with his wife Portland. We have chronicled Fred's varied career, from his stage beginnings through his rise to radio stardom. We will also study the troubles he had with sponsors and the network censors, as well the decline of a radio icon as television became dominant. 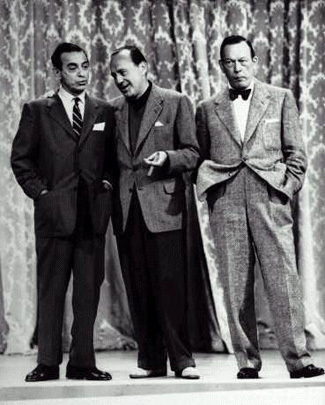 No, we didn't forget the famous Jack Benny/Fred Allen Feud. Best of all we will give you the chance to enjoy the true genius of this man in the forum that brought him greatness.